Three-part cards with 7 images for the object to photo matching activity. The printable features isolated photographic images of people in uniforms. 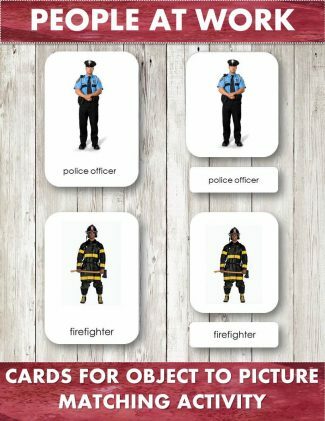 It includes a set of vocabulary cards – police officer, pilot, mail person, chef, construction worker, firefighter, veterinarian.